thermal clothing and boots during the stay (only Summer season). Includes: visit to the Winter World (non guided), free welcome drink from the Ice Glass (juice) in the Ice Bar, free use of kick sledges, sliding hill and tandem skis. Includes: visit to the Winter World, free welcome drink from the Ice Glass (juice) in the Ice Bar, free use of kick sledges, sliding hill, tandem skis and husky ride. Thermal clothing and boots during the stay (only Summer season). Includes: visit to the Winter World, free welcome drink from the Ice Glass (juice) in the Ice Bar, free use of kick sledges, sliding hill, tandem skis, mini skidoo for children, husky ride and meeting with Santa Claus (1 hour per group). Thermal clothing and boots during the stay (only Summer season). Winter World is located in the huge recreational area, where wide selection of outdoor activities can be organized in combination with the Winter World. Summer: frisbee golf track, human agility track, upscaling, treasure hunting etc. Winter: cross country skiing, snowboarding etc. End of city tour at hotel or city cente. Please check the rate when requesting. At you request we can change any details in the programme or quote the programme for group as well. Bed linen and final cleaning are included. All rates are NET and include final cleaninf and bed linen. The Katinkulta holiday homes provide comfortable high-quality accommodation. In the lush environment, surrounded by trees and verdant bushes, you will experience true holiday bliss. And the Holiday Club Katinkulta spa hotel, with all its services, is right next door. The Golfharju area represents a new kind of holiday home concept at its very best. The small apartment blocks contain luxurious one bedroom apartments. Some apartments have, in addition to the spaceous bedroom, a cubicle with a bunk bed. Some apartments boast a breathtaking balcony view all the way to the Vuokatti hills, while some face the beautiful golf course. Please note that some of the accommodations are located on the second floor, which is accessed through a staircase. In addition, the Holiday Club Katinkulta spa hotel is right next door. 1 br+loft 43,5+18 m2, space for 4 pers. 1 br+loft 52,5+18 m2, space for 4 pers. 2 br+loft 67+26 m2, space for 6 pers. 1 br 62 m2, space for 2+2 pers. 1 br 70,50 m2, space for 2+2 pers. 1 br 71,50 m2, space for 2+2 pers. At Holiday Club Katinkulta, you can choose your accommodation between the spa hotel and high-quality holiday homes. The most versatile holiday resort in the Nordic Countries, Holiday Club Katinkulta provides you with the opportunities to enjoy practically any kind of recreation, from golf to fitness training and even bowling. The resort offers a wealth of activities throughout the year. The summer is golfing season, and the three Katinkulta courses are sure to please players of all skill levels. Meanwhile, the diverse selection of other services ensures that those not as interested in the sport never have a dull moment. Should poor weather threaten to ruin your fun, have no fear as the spa hotel is brimming with all manner of indoor activities: bowling, tennis, badminton, squash, gym training, aerobics, karaoke, recreation for kids, weekly programmed activities and of course the dazzling entertainment events held at Katinkulta Arena featuring everything from raucous rock to pleasant pop. The Katinkulta spa has more than 20 pools: an outdoor pool, Jacuzzis, counter-currents, massaging showers, a fountain, and, of course, a waterslide. The little ones in the family will enjoy the kiddy pool and swimming mats, and there are swimmies available to use for their safety. For the more athletic type, we have a 25-meter fitness pool. The spa’s Sauna World has four saunas: two steam saunas, a steam cave, and a traditional Finnish sauna, as well as a Roman spa for the adams and eves among our guests. Our smoke sauna is located next to the outdoor pool. Pamper yourself in Katinkulta’s wellness center, Harmony Spa. Loosen your muscles with a massage after a day outside; enjoy a bath or facial treatment. We recommend that you make appointments for treatments before you begin your holiday. In the winter, visitors to Holiday Club Katinkulta are treated to the breathtaking ski trails and slopes of the Vuokatti ski resort. In fact, enjoyment on skis is available in other seasons, too, as the famous Vuokatti ski tunnel is open year round. Among the most popular winter activities is taking cross-country skiing trips on the ice of Lake Nuasjärvi. In addition, an endless variety of activities from snowshoe treks to husky rides are at the fingertips of holiday and conference guests at Holiday Club Katinkulta. Winter sports at Holiday Club Katinkulta include cross country skiing, downhill skiing and snowboarding — even in the height of summer. The slopes at Vuokatti are just a short distance away and handily accessed by a «ski bussi» shuttle service. The most die-hard snow junkies can continue honing their technique at the ski tunnel and indoor half pipe. MUSICAL TOURS TO ROCK AND POP CONCERTS IN HELSINKI, STOCKHOLM AND TALLINN. Do you want to visit life concerts of world stars? Do you like the quality of the sound? Now you have the opportunity to enjoy the concerts of the best world artists! Scandinavian capitals offer the great variety of music styles to your specific taste! We offer you to combine unforgettable emotions with a nice rest! You will be delivered to the concert by bus right from St.Petersburg or Petrozavodsk and stay in comfortable hotel in Helsinki, Tallinn, Oslo or any other European city. – ticket to the concert. At extra charge: railway, airplane or ferry tickets to Helsinki. Ask for the category of tickets and hotel. 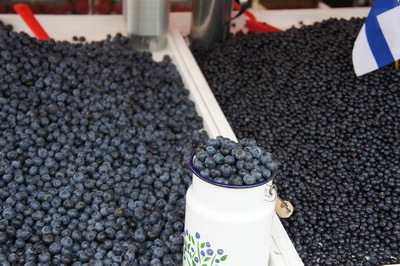 Lohja is small city located in Southern Finland (60 km away from Helsinki) , famous for its limstone production. Local citizens of this city were the pioners in mining. We offer you to visit museum «T ytyrin kai v osmuseo» in Lohja. Museum is an old lim estone mine. During this exciting excursion you are get acquainted with the histo ry of limestone production in Finland, equipment needed for limestone production that was used at the very beginning and is used nowadays. Guide acquaints you with interesting stories of F innish miners`life. Excursion takes 1,5 hours. Walking distance of the rout is about 1 km. Temperature is about +8 С, that is why comfortable shoes and warm clothes are needed. After excursion we offer to visit to old estate «Mustion Linna». Ancient restaurant «Linnan krouvi» built in new-gothic style locates at former carriage house. It was built in the middle of 19 century. Big fire place and iron lamps make the restaurant unique and create unforgettable atmosphere. Original idea of the philosophy of this restaurant is cooking of the freshest products delivered to this restaurant every day. Duration of the excursion – 5 hours. 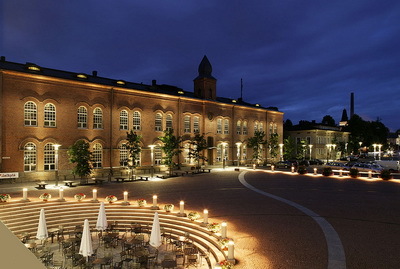 We offer you to visit Turku («Åbo» in Sweden), former capital of Finland, 160 km away from Helsinki. Swedish name of the city consists of 2 words: Å – river, bo – to live. 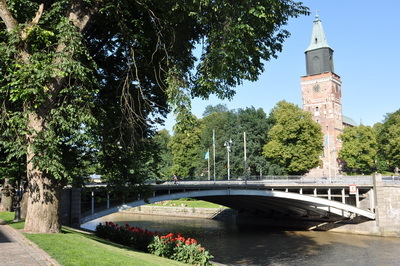 Turku is the oldest city in Finland. It was built in XIII century and now it’s one of the biggest city in the country as well.One of the most important sights is the castle Turun linna.This castle is the most anci ent one in Finland, it was built in XIII century by Swedes and served as a strong hold of king power. Sweden name of this castle is Abo slott, Finnish one is Turun linna. The castle was built as a defensive construction in the mouth of Aura Yoki river, that helped to control ships’ moving and not to let enemy fleet coming into the city. Many pieces of ceramics, jewelry, suites, furniture and toys are exhibited in a castle palatial part of the castle. In castle halls devoted to the history of the castle models of the castle are presented. In a front part of the castle exposition of the Historical museum with the pieces of interior of the XVI-XVIII century period is opened for visitors. There you have a chance to visit underground of Round tower, where some halls are devoted to Finnish coins and orders. Close to the theatre Forum Marinum sea center locates. It`s the museum of trade and military fleet exhibiting the great exposition of different sizes ships, weapons and ships` details and 4 ships opened for visitors: sailing vessel Suomen Joutsen, three-masted sailing frigate Sigyn, torpedo boat Keihassalmi , gunboat Karjala. 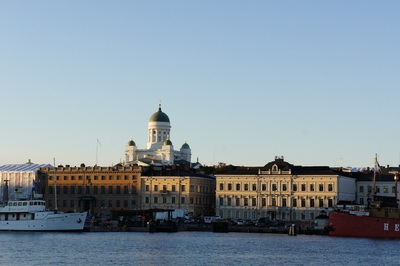 Till 1812 Turku was the capital of Finland. The first university of the country is still locates there. The city was totally destroyed in fire in 1828 and then it was fully rebuilt. Today Turku is modern and developing city with a big variety of shopping malls, restaurants, night clubs, and many other places for entertaining. Enjoy the life, coming to Turku. Tampere is located on the south of Finland between two lakes, Näsijärvi and Pyhäjärvi. This city will not be boring neither for children nor for adults! There are more than 20 various museums in the city. Besides a bigmuseum complex “Vapriikki”, that exhibits a lot of temporal and constant expositions and photo-exhibitions, there are many quite unusual museums, such as the museum of espionage or Lenin museum (the only one outside the territory of former USSR). For families with children we are glad to offer adventure park “Särkänniemi” with a lot of attractions, an observation tower, seven rollercoasters, mini-zoo, the world’s northernmost dolphinarium, planetarium, aquarium etc. and Moomis` museum, recreating the atmosphere of famous Finland writer and painter Tove Jansson`s fairy tales. Your children will definitely want to come back here again and again! Tampere is also well-known due to various festivals that are hold here the whole year round! Many opportunities for active sport are offered in the city, such as golf (there are many great golf fields in this region) or fishing (the fifth part of this region is covered with lakes and water rapids) and many others. This is just a small part of reasons to visit Tampere! Tallinn is one of the oldest European cities. Nowadays Old and New cities are harmonically coexist in Tallinn, so you can meet here medieval gothic style buildings, interlaced cobblestone streets, cozy cafes as well as modern business centers, big shopping malls, night clubs, restaurants etc. – City hall square, that had being used as a fairy and market place for many years, now it is full of small street cafes and s ouvenir shops. – Kadriorg Palace is a former residence of Peter the Great and modern art museum now.- Toompea castle is one of the oldest and most majestic architectural complexes in Estonia. No wadays the Parlament of Estonia locates here. – Two small but very beautiful churches: the Holy Spirit Church with a big colored clock and St. Nicholas’ Church or Niguliste Church of 13 century. 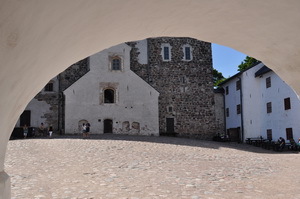 Your rest in Tallinn will be peaceful and comfortable! Additionally: lunch at a local restaurant.